Gain a new appreciation for the art of Africa when you shop at the Spears Harambee Company in Wernersville, Pennsylvania. Our artifacts, masks, and textiles are filled with the vibrancy of the culture and craftspeople from where they came. Our imported products are created by artisans who take pride in their work. It is important to us that they be paid fairly for their painstaking and dedicated work. Whether you're looking for fabric, African clothing, or the popular dashiki style of pull-over tunic, our marketplace is the place to find authentic African textiles. Take home the work of an ancient craft dating back at least 2000 years. The detailed art of Batik requires the application of a colored design onto textiles by first waxing the parts not to be dyed. Travelers from Java first brought back tales of the high-art of batik fabric designs around the year 1500. Taking months on end to complete, this art form was later introduced to European arts and crafts market and has been continuously practiced for centuries — drawing enthusiasm the world over. Find one-of-a-kind fabric for decorative accents for your own sewing projects. 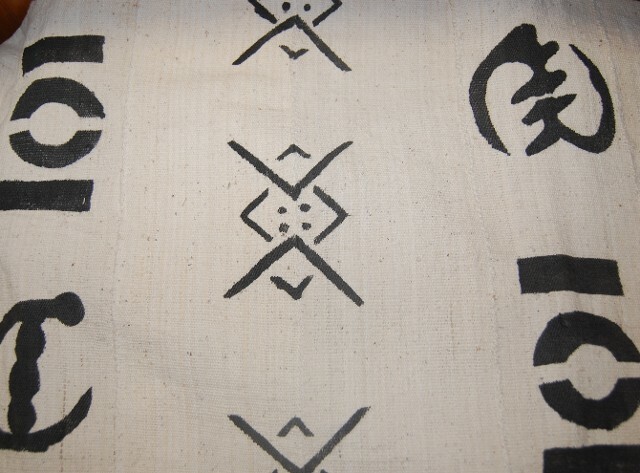 Our beautiful mudcloth fabrics are made in Mali. Prints come pre-cut in sizes indicated with one of each mudcloth design available. Create original outfits, curtains, and pillows with traditional African fabrics. Our beautiful cotton fabrics are 45" wide and 6 yds. long. They are perfect for making vests, men's ties, and any garment of decorative item you envision. Feature an indigenous Kente design in your cotton print fashion. Made in Ghana, this cotton fabric is 45" wide and sold in pieces that are 6 yds. long. Express the style of Africa every day with our specialty dashiki available in a wide diversity of designs. Dashiki tunics are easy to wear, comfortable, easy to wash, as well as worn as a unisex fashion. 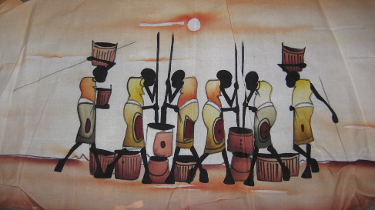 These fashions are ideal as costumes for African drumming groups.